The aim of Third Space is to introduce a new style of business lounge environment to attract remote workers. This is about reimagining an existing or unused space to create an alternative to the formulaic co-working model. A typical opportunity could be within a destination retail store or mall, building atrium or a dedicated area within a hospitality space. Our goal is to create dynamic, flexible and modular business lounges; featuring meeting pods, solo work areas, sofa dens along with dedicated WiFi and accessible device charging technology. The approach is to partner with the space owner or management group to leverage the third space opportunity with the message - Take the Workspace to Where People Want to be. This could be an extension of an existing brand experience or a fresh initiative to generate new opportunities. We are collaborative and committed to bring new ideas, creativity and financial models into play. We are also launching pop-up Third Space Meeting Zones to enhance the delegate experience at exhibitions and conferences with meeting pods and breakout areas with wireless power charging and other features. These can be sponsored or offered as part of the exhibitor package. 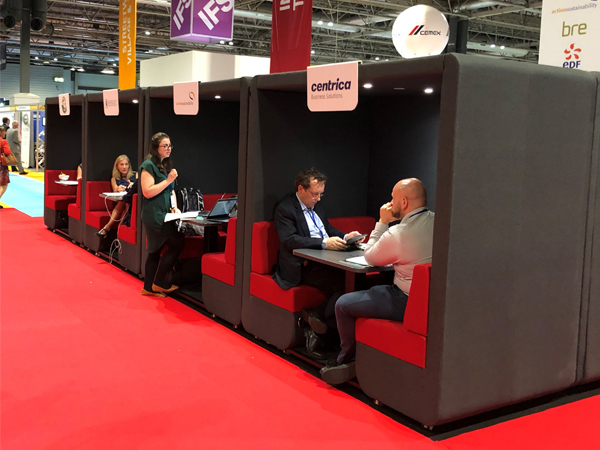 Our portfolio of meeting pods, sofa dens and integrated technology solutions are designed to enable and power effective meetings or provide a quiet space to work, or make that important voice/video call. Whether it is part of an complimentary brand experience in a destination location or to generate new revenues from increased footfall, dwell time and per visit spend, the possibilities are far reaching. We partner with venue owners and event organisers to create meeting zones, breakout areas and wireless power charging hubs to enhance the delegate/exhibitor experience and to develop new revenue generating opportunities from sponsors and exhibitors. Our meeting pods have embedded technology as standard features with wireless power charging all of with 13 amp plugs and USB connections. We also offer interchangeable interiors to match specific event branding and options for sponsor and exhibitor logos or signage. We are seeking to develop a network of business lounges at destination venues. With the increase in the number of professional remote workers, we believe that there a fantastic opportunity to take the work or meeting place to where people want to be. In reimagining an existing or new space, this could be at a shopping mall or a designated area within a high street coffee shop, hotel lobby or at the health/golf club. 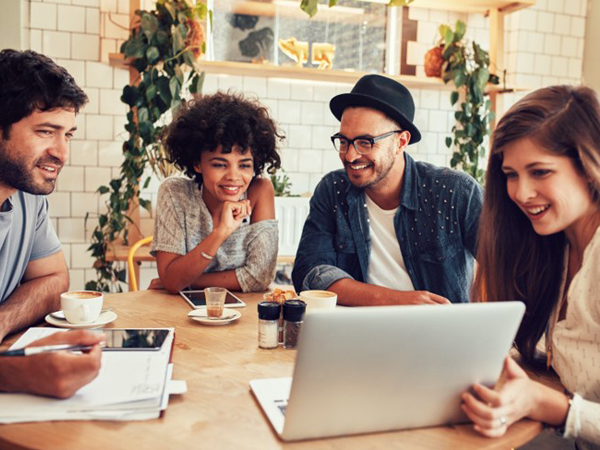 The goal is to create a space to encourage the remote worker or businessperson who wants to find a smart space to work and is conveniently linked or close to other amenities. 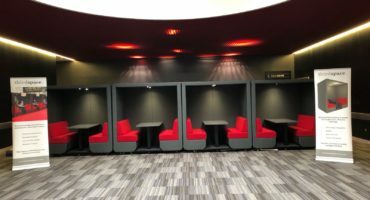 As an affiliate member of UKSPA (UK Science Park Association), we are developing a number of project opportunities to introduce new workspace lounges as permanent or pop-up features. The primary goal is to help attract and support new entrepreneurial starts ups, themed networking events and investment partners. Alongside this, we are also in discussions with a number of universities and schools to pilot the introduction of outdoor student working spaces with solutions such as the Smart Solar Bench to provide accessible WiFi and device power charging. As each project is different, we can provide a competitive quotation for a short term hire for an event or conference with six to twelve meeting pods to create a meeting zone together with a VIP/Media lounge with options for sponsor branding. 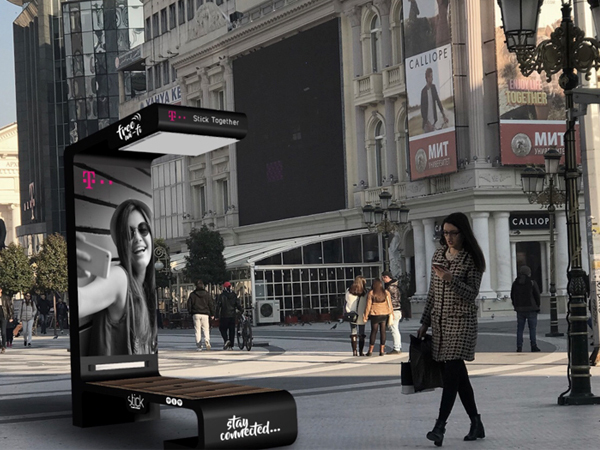 The hire costs will include delivery, installation and post event collection with options for screen integration and individual meeting pod branding. For permanent installations, we offer a full range of commercial models to include sale, long term rental or a fully managed solution with options to extend and exchange. Please email hello@thirdspacesolutions.co.uk for further information. 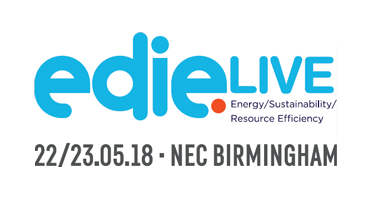 Third Space has partnered with Faversham House to provide an Advice Clinic meeting zone at the edie/UWL expo which takes place at The NEC on the 22nd and 23rd May. In addition to the meeting pods, Third Space is also supplying two media lounge areas for VIP guests and speakers. The lounges will incorporate a modular seating area with embedded wireless power charging technology.